Links: Cosmic Ages of the Hočągara, Spirits, Nightspirits, The Sons of Earthmaker, Sun, Red Bear, Thunderbirds, Hare, Turtle, Ghosts, Island Weights, Bladder, Earthmaker, Herešgúnina, Trickster. Stories: containing references to cosmography: The Journey to Spiritland, Ghost Dance Origin Myth II. Themes: fourfold division of the cosmos (space vs. time): The Cosmic Ages of the Hočągara, The Descent of the Drum; each son of Earthmaker is appointed to rule over his own paradise: Trickster Concludes His Mission. 1 Paul Radin, "A Wakjonkaga Myth," Winnebago Notebooks [unpublished MSS], #37: 66-70. 2 Walter W. Funmaker, The Bear in Winnebago Culture: A Study in Cosmology and Society (Master Thesis, University of Minnesota: June, 1974 [MnU-M 74-29]) 48. His informant is Walking Soldier (1900-1977) of the Bear Clan. 3 Paul Radin, "The Journey of the Ghost to Spiritland: As Told in the Medicine Rite," The Culture of the Winnebago as Described by Themselves (Baltimore: Special Publications of the Bollingen Foundation, #1, 1949) 60-72. Informant: Jasper Blowsnake. 4 Funmaker, The Bear in Winnebago Culture, 48. 5 Paul Radin, The Evolution of an American Indian Prose Epic. A Study in Comparative Literature, Part I (Basil: Ethnographical Museum, Basil Switzerland, 1954) 93-94. Informant: Sam Blowsnake of the Thunderbird Clan, ca. 1912. 6 Paul Radin, "The Lame Friend," Winnebago Notebooks (Philadelphia: American Philosophical Society) #66, Story #7. Informant: Xadenicaraka (John Hazel Hill). 7 Radin, Evolution of a Prose Epic, 93-94. 8 Radin, Evolution of a Prose Epic, 66-70; Paul Radin, The Trickster: A Study in American Indian Mythology (New York: Schocken Books, 1956) 52-53. 9 Paul Radin, The Winnebago Tribe (Lincoln: University of Nebraska Press, 1990 ) 302-303. Henry Schoolcraft, Information respecting the Historical Conditions and Prospects of the Indian Tribes of the United States (J. B. Lippincott & Co., 1852-1854) 4:229. 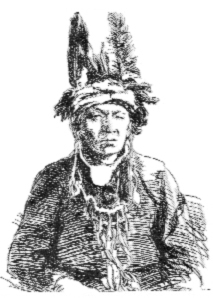 Informant: Šoǧoknįka, "Little Hill," a chief in the tribe. A variant is given in Ellen Russell Emerson, Indian Myths, or Legends, Traditions, and Symbols of the Aborigines of America (Boston: James R. Osgood 1884) 118. Emily L. Smith (Bear Clan), "Ma-ona and the Creation of the World," in David Lee Smith, Folklore of the Winnebago Tribe (Norman: University of Oklahoma Press, 1997) 13-14. Oliver LaMère, "Winnebago Legends," Wisconsin Archeologist, ns 1, #2 (1920): 66-68. William Lipkind, Winnebago Grammar (New York: King's Crown Press, 1945) 58. Katharine B. Judson, Myths and Legends of the Mississippi Valley and the Great Lakes (Chicago: A. C. McClung, 1914), reprinted as Native American Legends of the Great Lakes and Mississippi Valley (DeKalb: Northern Illinois University Press, 2000) 31. 10 Keeley Bassette (Waterspirit Clan), "Legend," in David Lee Smith, Folklore of the Winnebago Tribe (Norman: University of Oklahoma Press, 1997) 149. 11 Charles E. Brown, Wisconsin Indian Place Legends (Madison: Works Progress Administration, Wisconsin, 1936): 5; Paul Radin, The Winnebago Tribe (Lincoln: University of Nebraska Press, 1990 ) 166. David Lee Smith (Thunderbird Clan), "How Valleys and Ravines Came to Be," in Smith, Folklore of the Winnebago Tribe, 100-101. 12 Henry Schoolcraft, Information respecting the Historical Conditions and Prospects of the Indian Tribes of the United States (J. B. Lippincott & Co., 1852-1854) 4:229-231; Paul Radin, The Winnebago Tribe (Lincoln: University of Nebraska Press, 1990 ) 164, 302-303. 13 Walter Funmaker, The Winnebago Black Bear Subclan: a Defended Culture (Ph.D. Thesis, University of Minnesota: December, 1986 [MnU-D 86-361]]) 47. Informant: One Who Wins of the Winnebago Bear Clan. 14 "The Epic of the Twins, Part Two," in Radin, The Evolution of an American Indian Prose Epic, I.42-58. 15 Mary H. Eastman, Chicóra and Other Regions of the Conquerors and the Conquered (Philadelphia: Lippincott, Grambo, & Co., 1854) 22. 16 Paul Radin, Winnebago Hero Cycles: A Study in Aboriginal Literature (Baltimore: Waverly Press, 1948) 133. 17 Funmaker, The Bear in Winnebago Culture, 32. 18 Radin, Winnebago Tribe, 167, 283, 285-295, 495. 19 Paul Radin, "Winnebago Tales," Journal of American Folklore, 22 (1909): 288-300. Emil William Lenders, "The Myth of the 'Wah-ru-hap-ah-rah,' or the Sacred Warclub Bundle," Zeitschrift für Ethnologie, 46 (1914): 404-420. Told by Joseph LaMère, Bear Clan, to Radin in the summer of 1908 and to Lenders in Aug. - Sept., 1909. 20 Paul Radin, "The Thunderbird," Winnebago Notebooks (Philadelphia: American Philosophical Society) #16. 21 Radin, "Winnebago Tales," 288-300. Emil William Lenders, "The Myth of the 'Wah-ru-hap-ah-rah,' or the Sacred Warclub Bundle," 404-420. 22 "The Epic of the Twins, Part Two," in Radin, The Evolution of an American Indian Prose Epic, I.42-58. 23 Paul Radin, "Mazeniabera," Winnebago Notebooks (Philadelphia: American Philosophical Society) #21: 1-134. 24 Radin, The Winnebago Tribe, 283, 285-295, 495. 25 Paul Radin, ed., Crashing Thunder: The Autobiography of an American Indian (New York and London: Appleton and Co., l926) 25-26. 26 Funmaker, The Bear in Winnebago Culture, 48. 27 Funmaker, The Winnebago Black Bear Subclan, 49. 28 Radin, Crashing Thunder, 99. 29 Radin, Crashing Thunder, 105. 30 Radin, "The Journey of the Ghost to Spiritland," 60-72. 31 Paul Radin, "The Man who Brought His Wife back from Spiritland," The Culture of the Winnebago as Described by Themselves (Baltimore: Special Publications of the Bollingen Foundation, #1, 1949) 47-65. Informant: John Baptiste. 32 Radin, "The Two Friends Who Became Reincarnated: The Origin of the Four Nights Wake," The Culture of the Winnebago, 12-46. Informant: John Rave (Bear Clan).